So you think you’ve tested your RC truck to its limits. Done racing it around with your friends? We guarantee we can find you some awesome new (AND unexpected) activities to try out, right here! Before we move on to the more unexpected options, let’s go ahead and breeze through the expected. Have you tried all of the stunts? Go ahead and look up some videos of truck stunts, and try to recreate them yourself! Why not test your hydraulics before anything else? There are even stunt competitions you can enter if you think you’ve got a grip on the basics. There are also so many sports you could try doing with an RC truck! Have you tried soccer? You and your friends could have a genuine, complete game with only 3 trucks on each side! You could snoop around the internet to see what game rules other people have established, or you could make your own. The same goes for bowling! If you’re on the more artistic side, another thing you could try is painting with your truck. Get a huge sheet of paper, weigh it down so it doesn’t fly off, spill some paint and get creative! If you don’t want paint on your wheels, you can use paint that’s easy to wash off or maybe wrap them up. Whether you’re curious to see where your truck is roaming or you just want to check in on your roommates or family, you could always stick your GoPro on your RC truck. As for those of us who don’t have a camera, two video chatting phones will do just as well. Attach one to the truck and go nuts! There are no limits! Except for stairs, those might be an issue. If you actually want to go for it, and fiddle with your truck even more, you can always install an FPV. All it’ll take to get a radio-controlled first-person view camera in your truck is a little assembly. If you look up FPV installing videos online, you’ll find a bunch of resources that will direct you. You’ll learn how to take apart your truck, maybe do a few adjustments, and insert a tiny camera in the driver’s seat. This will give you an awesome first-person POV of your trek. If you want to go tame for once, or you’ve got a kid’s party coming up, you can always attach some balloons to your truck and call it a day. Just don’t let the kids wreck your truck. Or otherwise, make sure you’ve got a sturdy truck. Honestly, this is like number 4, but there’s less chance of a piece of your truck breaking off, as long as your pet plays nice. So, attach a doggy toy or some string to the back of your truck and get going, and watch your pup or kitty go nuts. If they’re particularly high-energy, this should tire them out nicely. Honestly, who among us hasn’t fantasized about an RC vehicle being able to fetch for us? And while it will never be able to actually take your drink and bring it, unless you’re working with some serious robotics, it’ll be able to go over to the kitchen where someone else could load it up. It’s about as simple as could be. Or maybe not – you can make it as complicated as you want it to be. We’re just saying, you’re a rig away from being able to send your truck to the kitchen to be loaded with refreshments. So, yeah, you might want to stick to closed, canned drinks, and not too heavy for your truck, but listen. We’re sure you’ll be able to figure it out if you fiddle with it a little. Maybe you’ll just stick a food tray on your truck, or maybe some kind of a pocket on either side of it. It’s your truck. And FINALLY, the number 1 least expected activity you can do with your truck? Wait, wait! Before you storm off the page because you were made to imagine your RC truck getting destroyed: this one isn’t for you. This one is specifically for those of you with an older, already kind of wrecked truck that you wouldn’t mind sacrificing. This is for science, alright? So, put your engineering caps on and listen up. If you’ve got an old truck you don’t care about anymore and are due to buy a new one anyway, you could always take your old truck apart. Now, you can do it gently and methodically, just to see what’s in there. Especially, if you’ve never thought of disassembling your truck before, now’s your chance. Or, and this is the more unexpected route, you could go beast mode with it, and actually destroy it. It could be poetic, really. Get a super slow-mo camera on it, and smash it with a sledgehammer. Or you could get all Mythbusters with it, and go for a pyrotechnical truck demise. You could even buy new killer truck like those found on www.10trailtrucks.com, and record a passing of the baton between the trucks. As with all of these options, the only limit is your imagination. 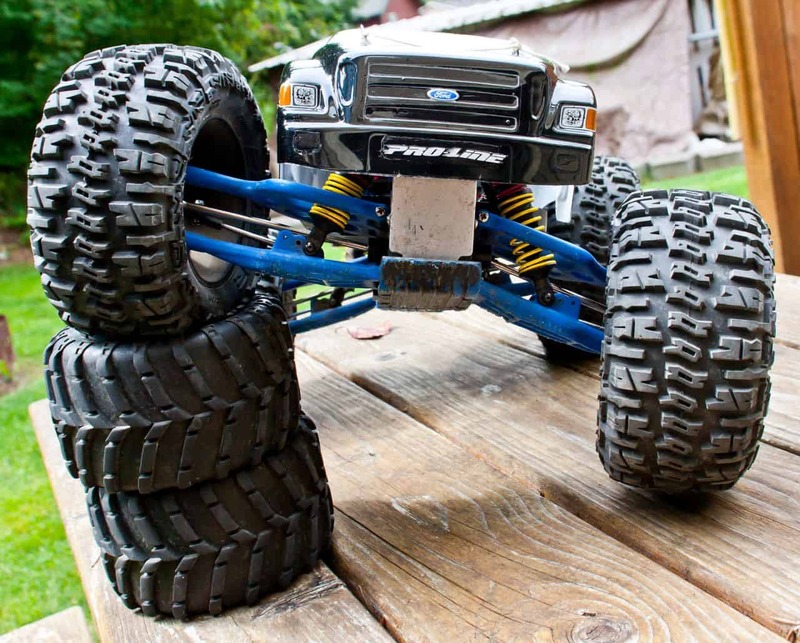 So, go ahead and do something unexpected with your truck!